Now I am keenly aware that the term ‘soul’ has its connotations and I ought to clarify from the outset how it is being used in this piece. 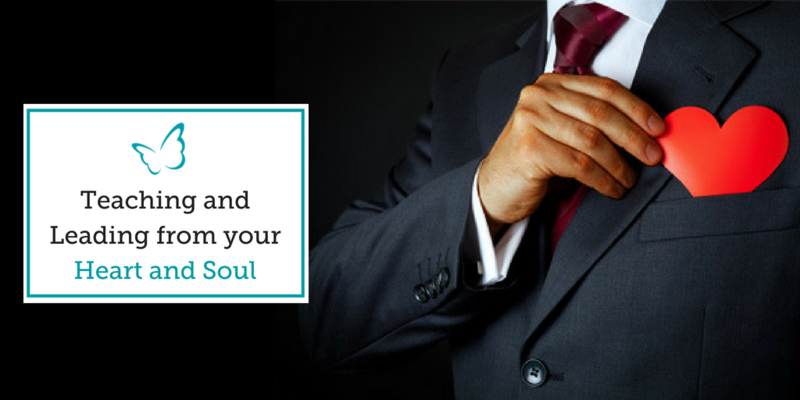 Soul is one way of referring to a sense of ‘core self’, which might be a more palatable and psychologically derived term. It refers to what’s at the heart of who we are. For the purposes of this piece, I am using the term as an elaborated sense of core self which has a spiritual and psychological character. If you are interested in the theme of soul and educational leadership you inevitably have to encounter Parker Palmer and his Courage to Teach. I first came across a copy early in my career and its wisdom passed me by; I was preoccupied with the technicalities of getting kids to shut up and sit down to work. How I wish I had stayed with the book, forced myself to look beyond accomplishing glorified babysitting and engaged with the kind of professional vocation that can sustain an entire teaching career. Palmer’s work is full of insights, questions and dilemmas which will be familiar to those who have bothered to hang around schools for more than the average of three years for a newly qualified teacher. As an aside, that’s less than seeing a cohort of children through. That’s like a carpenter walking off the job having installed a table with just two legs. Anyhow, one of the observations in Palmer’s work is that teachers are familiar with responding to the questions about what to teach and how to teach it. Parker notes how rarely do we ask why we teach what we teach, or even less so, simply why we teach. Equally seldom in the course of a career do we ask, who is it that teaches? Most of us will recall those teachers who touched our lives and invariably it will be because they taught out of who they were. We do not teach maths, art, languages, or even, children. We teach out of who we are; our passion, integrity, commitment, love – our soul – and this is what impacts the student. This is one of the reasons why over-organising education is so perilous. Indeed, I notice how the pursuit of consistency in education results in a process to the point where the personhood of the teacher is no longer significant; so long as they are following the policy and protocols, that’s the main thing. The most significant implication of this is that both students and teachers – and also head teachers – are in effect objectified in the education encounter. The different parties exist primarily to conform to the expectation, agenda and standardisation that is externally obligated. That’s why I believe exploring the interior life of the educator is one of the most important tasks that can be undertaken by teachers, and school leaders. Such an exploration involves asking questions of our self about the early motivations, core values and the shadowlands we all bring to the classroom and staffroom. By engaging in this process teachers re-discover, or find out for the first time, what anchors them into what they do. Palmer talks of how, in the absence of such personal journeying, the students experience little more than a technician, in contrast to being taught by a person. Not only does the encounter become richer in its potential for the student, the teacher is more rooted in the soil of their work, and therefore less easily distracted by short-term policy changes and political interference. 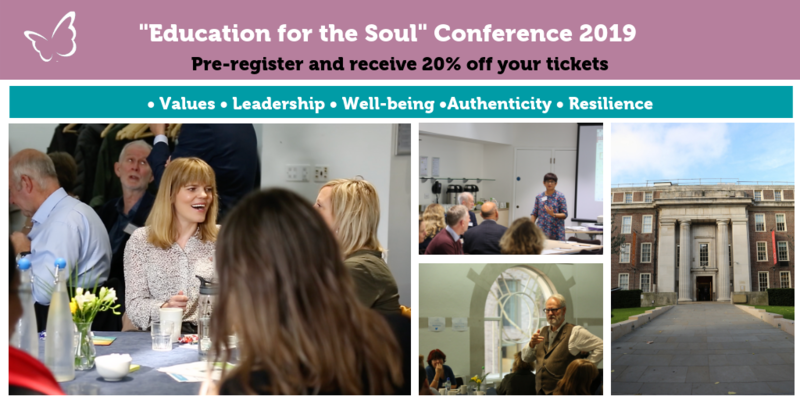 On the 18th October 2018, Giles Barrow joined us for our “Education for the Soul” Conference in which he hosted a workshop around the changing inner landscape of being a school leader today. This workshop formed a key part of the conference which was centred around the theme of “Creating New Narratives for the School Leaders’ Journey” and was designed to extend the conversation around school leadership, well-being and standards in our schools.